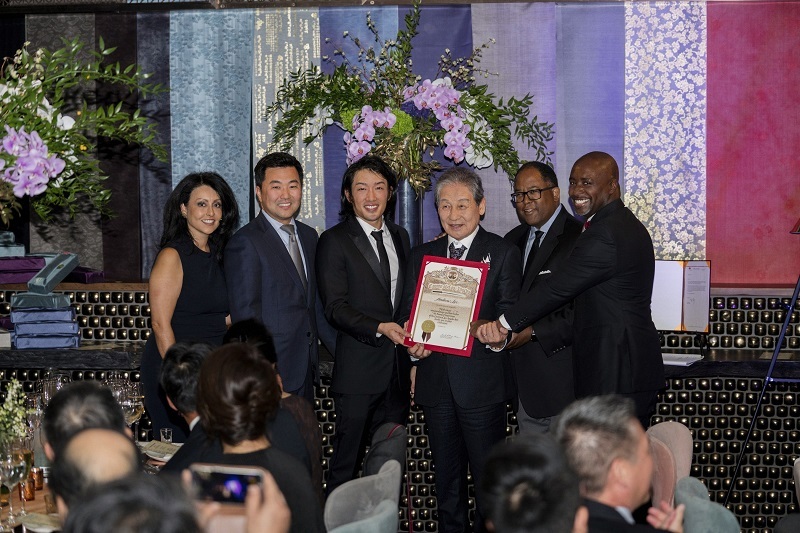 Los Angeles city and county officials presented Crown Prince Andrew Lee and Crown Prince Yi Seok with a proclamation during the Passing of the Sword ceremony on Oct. 6, 2018. Left to right: L.A. Councilmembers Nury Martinez and David Ryu; Crown Prince Andrew Lee and Crown Prince Yi Seok; L.A. County Supervisor Mark Ridley-Thomas, L.A. City Councilman Marqueece Harrison-Dawson. 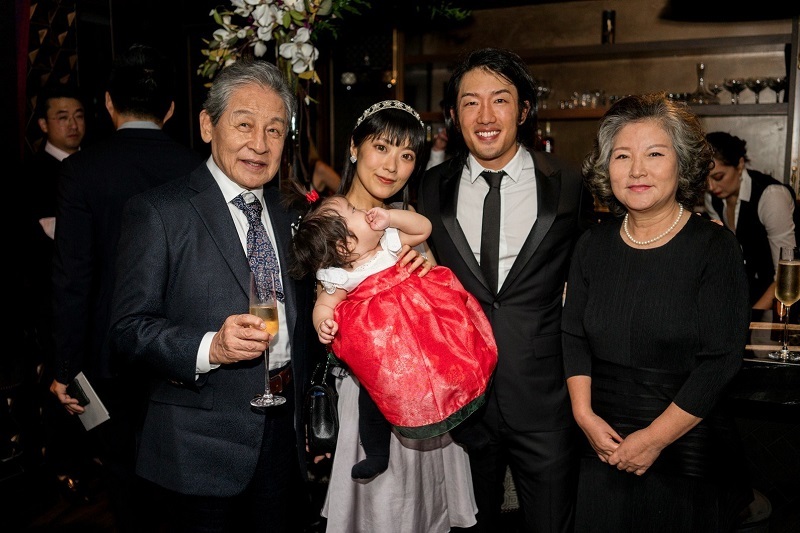 The Imperial Family of Korea has announced that it has recently named a new crown prince. Korea’s only remaining heir to the Joseon dynasty throne, His Imperial Highness King Yi Seok, named Crown Prince Andrew Lee as his successor on Oct. 6. Yi Seok, 77, is the nephew of King Sunjong, Korea’s last monarch, and the son of Yi Kang, the fifth son of King Gojong, the 26th Joseon king, according to PR Newswire. Lee, a Korean American, is the founder of leading VPN service Private Internet Access. 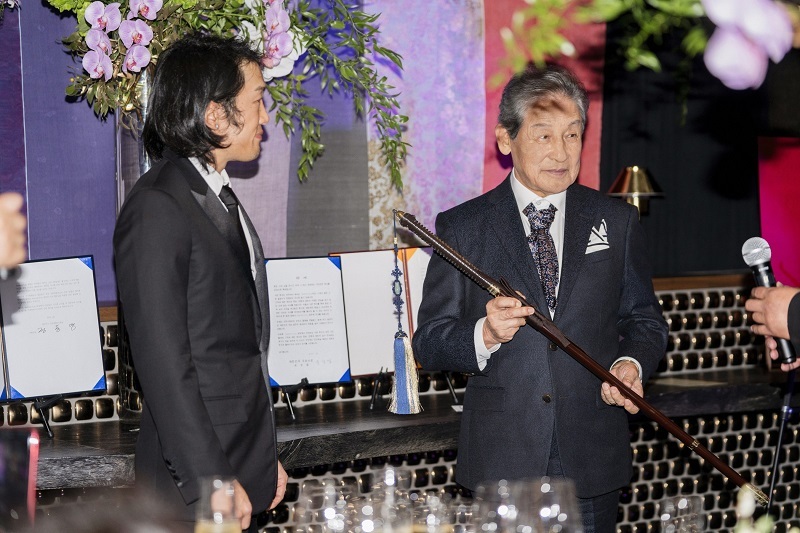 He was bestowed of his new title during a Passing of the Sword ceremony inside Crustacean, a restaurant in Beverly Hills, California, in the presence of his wife, Princess Nana Lee, his family, and Yi Seok’s family and friends. South Korean dignitaries and City of Los Angeles officials also attended the event. Next year, he will be given an Imperial Family Crowning Ceremony in Jeonju, South Korea, the ancestral home of the Lee royal family. Founded in 1392, the Joseon dynasty ruled for five centuries and has left a notable legacy within modern Korea, including much of modern Korean culture, etiquette, norms and societal attitudes towards current issues. The modern Korean language, its dialects, and Korea’s majority ethnic group, which refer to themselves as the “Joseon people,” derived from the culture and traditions of the Joseon dynasty. Other notable inventions under its rule include the Korean alphabet Hangul, by King Sejong, the Jobo, the first newspaper in the world, and military weapons, including the bulletproof vest, the time bomb, and armored warships. The Korean empire, however, was overtaken by Japanese colonial rule in 1910. 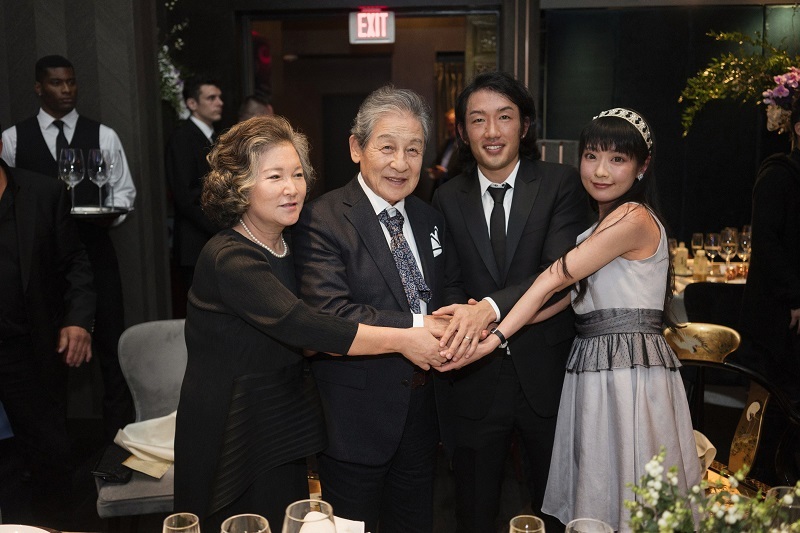 Left to right: Princess Kyung-soo Lee, Crown Prince Yi Seok, Crown Prince Andrew Lee, Princess Nana Lee. Yi Seok named Andrew Lee the new crown prince of Korea during a Passing of the Sword ceremony on Oct. 6, 2018.